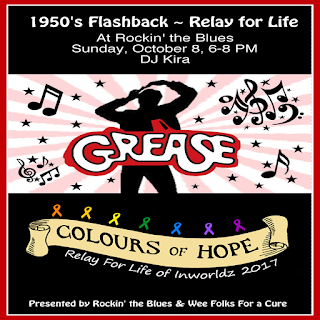 Join #RelayForLifeofInWorldz on Sunday, October 8th with #RockinTheBlues for GREASE !! Flashback time - let's party!! !